The components and parts of your garage door are incredibly important, if they are not kept in great condition, you may run into a number of problems operating your door. When you call our company in Highland Park, IL for regular preventative garage door maintenance, our experts will check the condition of your tracks, make sure your springs are in good condition, check the rollers of your door, and more. 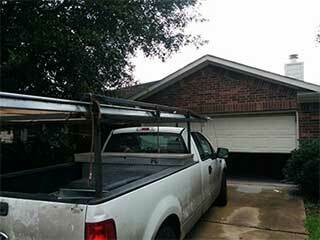 Over time, garage door tracks can become dirty, things get stuck in them, and they can be prone to rust. While this may not seem like a big deal if your door is going up and down the way you want it to, over time this can prevent the door from operating at all and can even be the cause of expensive repairs. Prevent this stuff from ever happening by having our maintenance experts ensure your tracks are kept in good condition – we'll take care of any problems before they get out of hand. Regular maintenance is the only way to ensure that your garage door springs continue to work in the way that they should. Our maintenance teams will lubricate them, check they're not stretched out, rusted, or otherwise damaged, and adjust them if necessary. One of the problems that we frequently see during our garage door maintenance visits is rollers desperately needing to be lubricated. Having us come regularly to maintain this part of your door is important and ensures that your rollers won’t get stuck, jump off the track, or seize up while they are in use. The welfare of all the different parts that make up your garage door is important - if you can't remember the last time you had an expert come to your home to check the condition of your garage door then it's time to give us a call today!